Losing massive amounts of weight is a wonderful achievement. It takes a great deal of courage, will power and perseverance. However, patients who have lost substantial amounts of weight are faced with significant sagging skin. Their skin has stretched so far that it doesn’t rebound as quickly or fully. The patients’ new shape is sidelined by sagging skin and tissue that makes them feel unattractive. So, it’s not surprising that neck lift and facelift after weight loss requests have gone up proportionally with the increasing popularity of surgical weight loss treatments. In fact, a survey by the American Academy of Facial Plastic and Reconstructive Surgery (AAFPRS) reported a 13 percent increase in the number of patients seeking facelifts and neck lifts to remove the excess skin and tissue. So, what can patients with significant weight loss do to address sagging skin? This is not an instance where one stop shopping for a surgeon is the right thing to do. Quite the contrary. It is critical that patients select a facial plastic surgeon to address sagging skin in the face and neck area. Facial plastic surgeons specialize in cosmetic surgery from the neck up and have had years of extra training, including fellowship, specifically for this area of specialty. 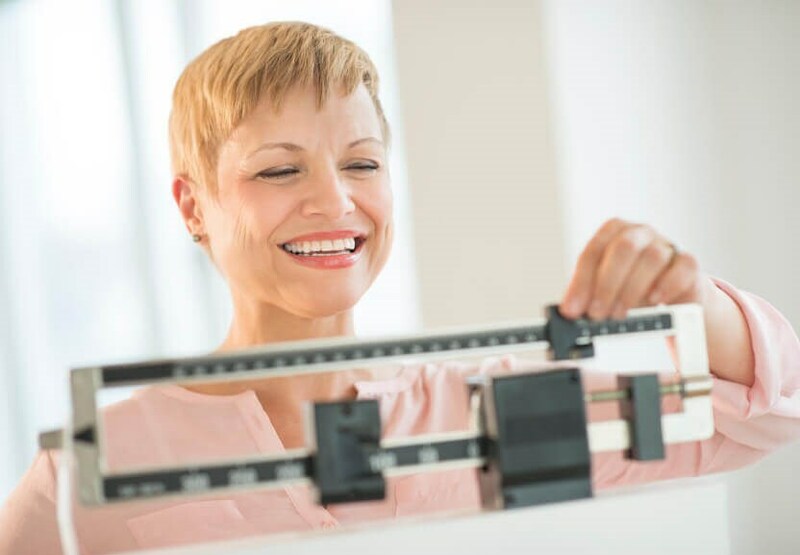 Along the same lines, it is important to select a general plastic surgeon who is a body specialist to address the sagging skin that occurs following weight loss below the neck. But, the face is a far different and more complex anatomical area. So, a body specialist does not necessarily make a good facelift surgeon. In a nutshell, you should only trust your face to a facial plastic surgeon, such as Dr. Russell Kridel. Dr. Kridel has performed thousands of successful facelifts. He has an international reputation as “The Doctors’ Doctor” because other surgeons refer patients, themselves and their family members to him for their facial plastic and reconstructive surgery. He has published over 100 scientific medical journal articles and textbook chapters on facial rejuvenation. A facelift is extremely effective at lifting sagging skin from the lower cheeks, jawline, and neck. While there are non-surgical skin tightening solutions, such as Ulthera, for weight loss patients with a lot of loose skin, the traditional facelift is the ideal solution. Dr. Russell Kridel has pioneered a surgical facelift technique called the MVP Lift. The medical terminology for MVP Lift is Multi-Vector Positioning Lift. It refers to his special multi-layer dissection, draping and closing technique. Skin is meticulously lifted off the underlying tissue and adjusted to a more youthful position. The skin is draped and any excess skin is surgically removed. One of the other unique elements of Dr. Kridel’s MVP Facelift are his Invisible Incisions technique. After the healing process is complete, incisions are virtually undetectable. We have patients who go to their hairdresser and even their hairdresser can't tell they had a facelift. The MVP Lift also refers to the Most Valuable Patient – status that every patient receives under our care and, the fact that Dr. Kridel tailors every MVP Lift to an individual patient to achieve the most natural and longer-lasting results. While many patients ask about a Neck Lift separate from a Facelift, the reality is that the best facelift techniques, such as the MVP Lift, is actually a Facelift and Necklift combined. The necklift portion of the facelift simply addresses the area below the chin and jaw and along the neck. Prior to your MVP Facelift surgery you will undergo a consultation with Dr. Kridel. During this appointment, he will examine your skin and muscle tone, as well as discuss your surgical goals. Photographs are also taken and through computer imaging, you will be able to visualize what you can expect from your surgery. You will also see images of other patients who have had similar surgery that can not be viewed on the Internet. Dr. Kridel and the entire FPSA team is very thorough and happy to ask any question you may have. You can expect to be with us for about two hours for your consultation. If you have won the battle of weight loss, you deserve to reward yourself with facial rejuvenation. With an MVP Lift you will look as young as you now feel. To make an appointment with Dr. Kridel for an MVP Facelift consultation, please call 713/526-5665. We can also provide you with a referral to a general plastic surgery specialist for body lifts.